Love to complete thrilling missions? If you are one of those, then Ben 10 Alien Unlock is the game you must play online! Complete 10 different levels full of adventure to unlock 10 different Aliens. 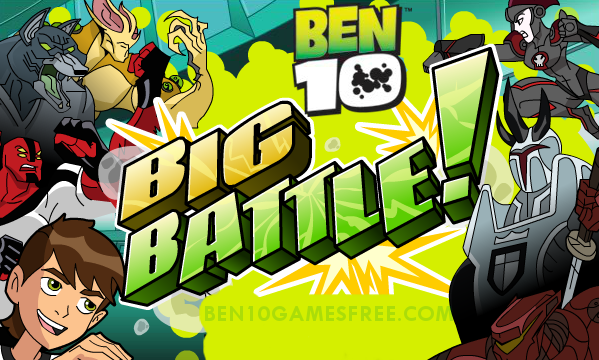 Are you ready for some Ben 10 adventure? But before that, take look at the game details below. As the name suggests, Ben 10 Alien Unlock is all about finding secret codes to unlock aliens. Run through the basements, jump over the roofs and slide upon the ramps to collect the Omnitrix badges and letters of the secret code. All this makes this game one of the most favorite Ben 10 game online. Let’s have a look what will you face in this game. Recommended for You: Play Ben 10 Omniverse Games online now for Free! Ben 10 Alien Unlock has 10 missions, each to be played with a different alien starting from Ben himself. In the very first level, you have to help Ben find the new Omnitrix, collect 5 letters of the secret code and reach the end point within the time limit. If you reach the end point without collecting all the letters of the code, the mission will be failed and the new alien will not be unlocked. If you reach the end point without collecting all the letters of the code, the mission will be failed and the new alien will not be unlocked. Wonder which alien you are going to play with? Here’s the full list of Ben 10 aliens that you will unlock in this game! The common goal of each mission is to find the secret code but as you progress in the Ben 10 alien unlock game, things get tougher. From alien robots to mutants will start to appear and you have to kill them in order to complete the levels. Apart from getting difficult, the game becomes more interesting. In fact, there are two missions where you get to fly as Heatblast and Gravattack. So, guys, these are all the details about Ben 10 game alien unlock. With nice graphics and a thrilling experience, this is a game you going to love. Kill mutants and Find the secret codes to Unlock all Aliens and Win. Good Luck!! Don’t Forget to give your rating for Ben 10 Alien Unlock game and share your tips and tricks to win this game in the comments section below.